My Perfect Burger | I'm not stalking you. It is summertime! The time for my husband to grill me up a delicious dinner while I hide inside from the swarms of mosquitoes. Now, you might remember from my previous posts that I am a picky eater. 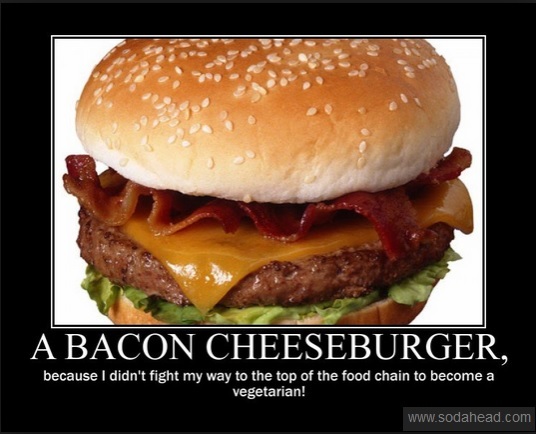 Thus, you will never find any tomatoes on my burger–I would pick them off. I wouldn’t stand for mushrooms. Condiments such as mayo or mustard on my burger? Yuck. Anything weird like feta or alfalfa sprouts or pineapple or olives is totally off the table. 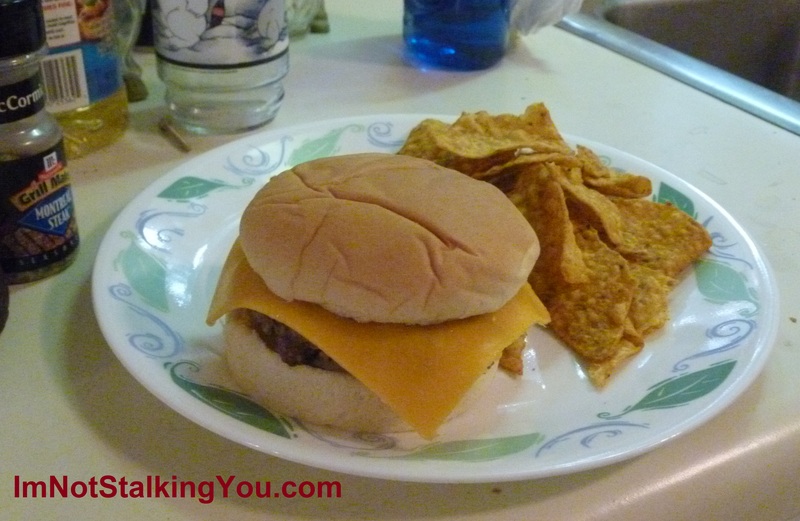 No, my perfect burger has cheddar cheese–sharp cheddar is alright. American is barely passable, and usually only from McDonald’s. We are talking about home-made burgers here, preferably made on a grill (outdoor or the George–either is fine). I like barbecue sauce on my burger. Yes, if I am somewhere else, ketchup will do. But, we are talking about my PERFECT burger here. I always use Sweet Baby Ray’s Honey Barbecue Sauce. I put it on my bottom bun. Then I need a white onion. I love onions. And raw, none of that sauteing business. 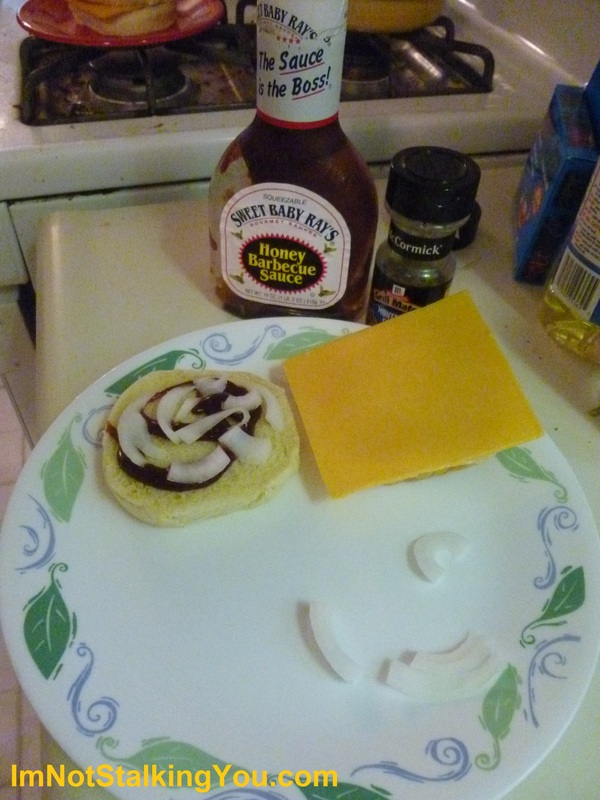 I put a few rings or slivers on top of the barbecue sauce. Next, the WELL DONE hamburger goes on top. Grade doesn’t matter, although a nice 80/20 usually does the trick. Years ago, before my husband was my husband, he and I found out that a bit of McCormick Grill Mates Montreal Steak seasoning mixed into the meat before cooking gives it a bit of a zing. Now I kind of miss the taste if we forget to throw some in. I top it off with the cheese over it, then the top bun. Some nice dill pickle chips with it. Yum! That sounds so good, I think I will go make that for lunch right now. Posted in A day in the life and tagged barbecue, burger, cheeseburger, George Foreman, Grill Mates, grilling, hamburger, McCormick, Montreal Steak, onion, recipe, sauce, Sweet Baby Rays, well done. Bookmark the permalink.